Hello and welcome to my blog (Kayla MacAulay) in Australia. This is my first time participating in the Ink & Inspiration Blog Hop with talented Stampin' Up! demonstrators from all over the world. I am so excited to be participating in this hop and sharing with you sneak peeks from the new Annual Catalogue that will go live on June 1st. There are so many exciting new products coming and a renovated colour family! I think the new colours are the thing I am most excited about! 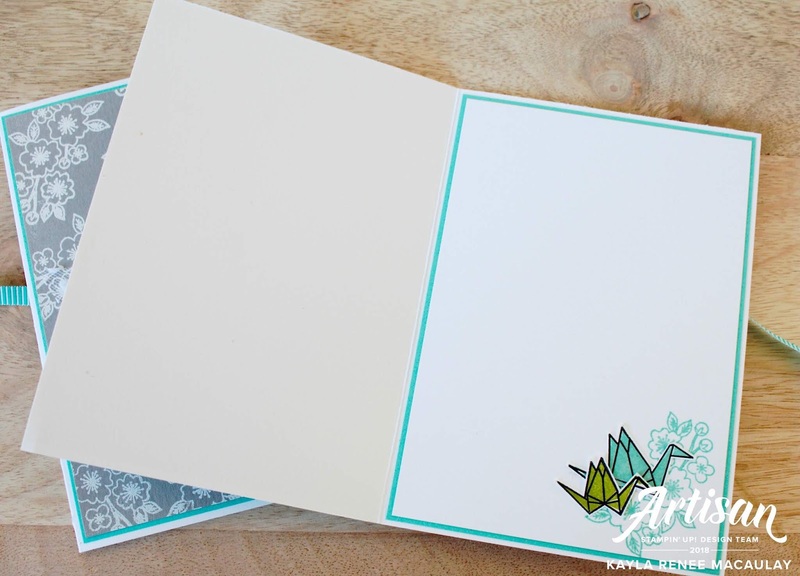 In my project I am sharing today I have used LOTS of new colours as the inspiration for my card along with a brand new Host set that you are eligible to purchase at a discounted price and only for hosts when you either host a workshop or place an order of $250 Australian Dollars or more. This beautiful stamp set is called Artfully Folded and it grabbed my attention from the new catalogue straight away. 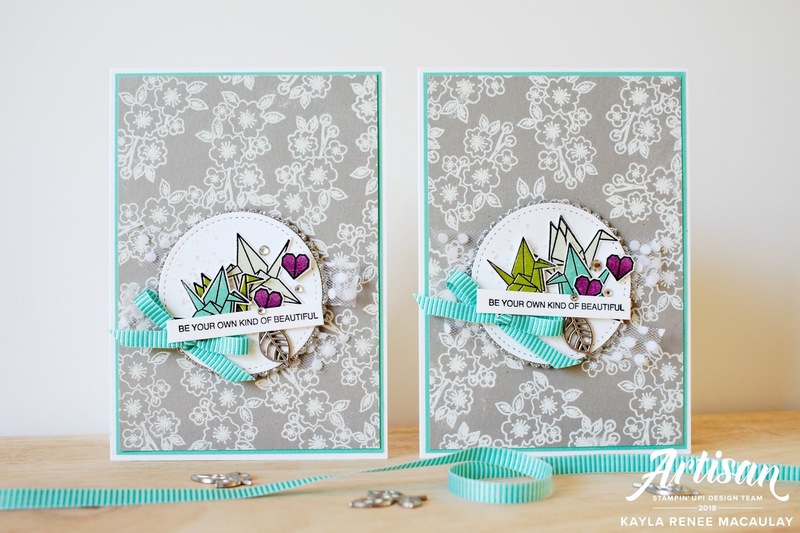 I love paper cranes and so this set was right up my alley! The paper crane is a symbol of hope & healing and in Asian culture it is believe that if you fold 1000 paper cranes your wishes will come true. How beautiful is that? Here's a look at my completed projects. I made a set of two handmade cards in the same design/theme, just with slightly different colours. I used a combination of brand new Gray Granite, Coastal Cabana, Granny Apple Green, Soft Sea Foam and Blackberry Bliss with a touch of Silver and Bermuda Bay! Here's a close up of my finished cards. I have white embossed the gorgeous flowers onto the Gray Granite background layer and love how this really made them 'pop' and become a feature. I also added some beautiful metal leaf embellishments from the Nature's Poem suite of products. I love these leaves and they have become one of my favourite new embellishments. I am going to be using them lots! I have also used some brand new striped Bermuda Bay ribbon and some of the gorgeous Whisper White Polka Dot Tulle Ribbon underneath my main feature on my card. I just love the sentiment 'Be Your Own Kind of Beautiful' that I used on the card. How beautiful would that be to send to a friend that just needed some kind words and encouragement? Here's a look at the insides of my cards which I also decorated. 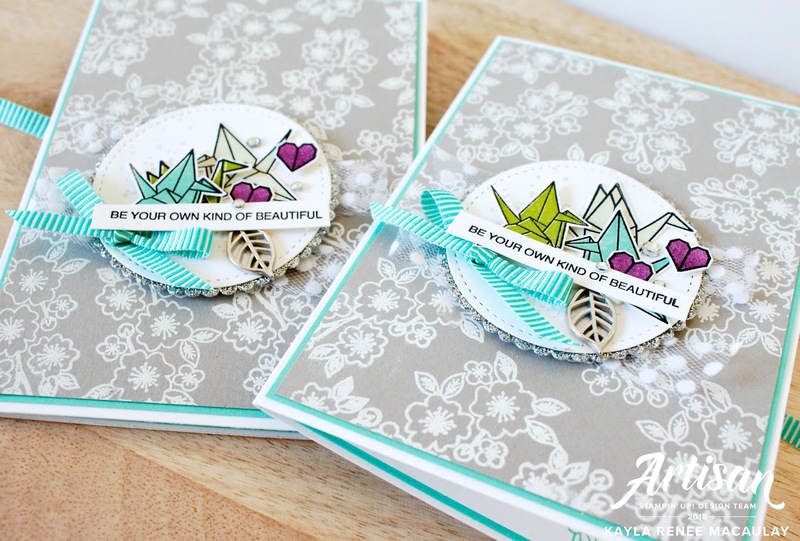 I stamped the floral piece in Coastal Cabana and added a couple of stamped and fussy cut paper cranes which I have accented with some Clear Wink of Stella. I can't wait to pop these cards in the mail to some beautiful friends. 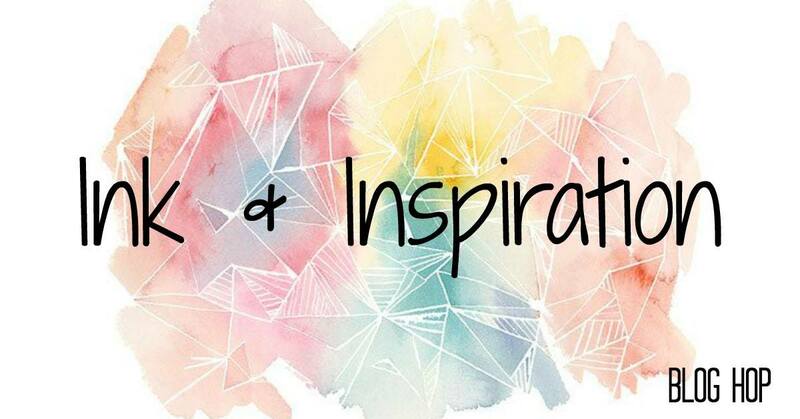 I hope you enjoyed reading my blog today and got some inspiration using brand new products. Be sure to check the bottom of the post for all the supplies I have used. Check out the following blogs to see more sneak peeks from all the amazing blogs that took part.